As part of its market expansion strategy ZTE announced three new Axon devices for China - two smartphones and a smartwatch. ZTE Axon Lux is the best spec'd device of the lot - it's has a 5.5" Quad HD display and Snapdragon 810 chipset. The Axon Lux features Antimicrobial Gorilla Glass, 4GB of RAM, 128GB expandable storage, a 3,000 mAh battery and 8MP front camera. On the back of the Axon Lux there is a dual-camera setup with a 13MP and a 2MP sensors. 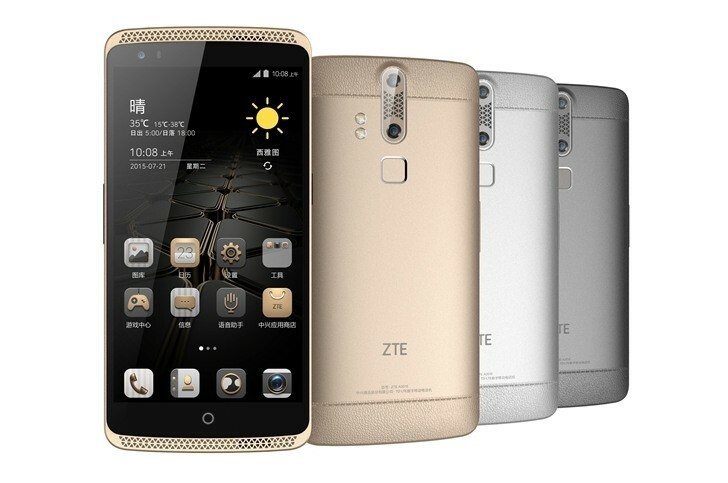 ZTE Axon Lux bets on the faux-leather design and runs on Lollipop with MiFavor 3.2 UI on top. It features three types of biometric security - fingerprint scanner, voice recognition and eye-scanner. NFC secure payments are supported, of course. 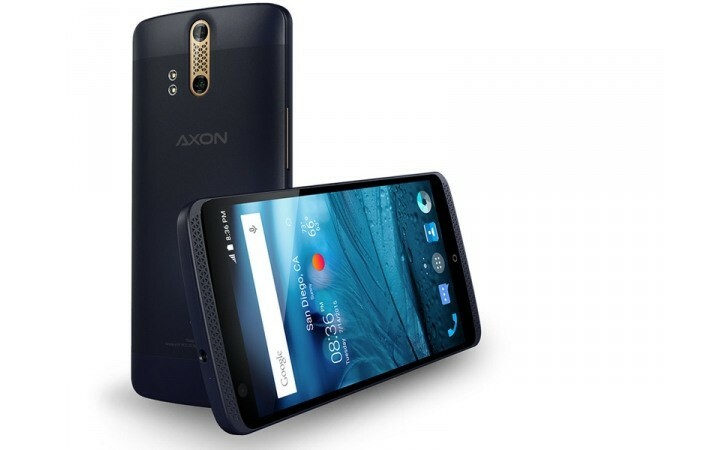 The ZTE Axon Lux will launch at $625 and for now it will be on sale only in China. 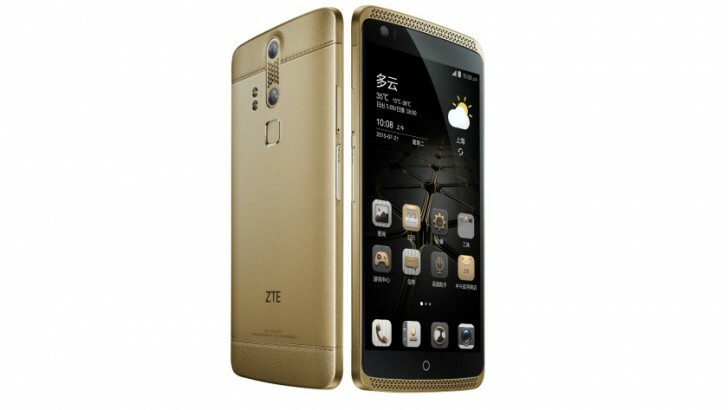 The regular ZTE Axon, which already debuted in USA and Canada, has now be confirmed it will make it to China as well. It doesn't have a the faux leather back, comes with a lower 1080p resolution 5.5" display, keeps the Antimicrobial Gorilla Glass and the Snapdragon 810 chip but with "just" 3GB RAM, and comes with 32GB expandable storage. The battery is still a 3,000 mAh unit. ZTE Axon has the same camera setup as Axon Lux 13MP+2MP over the back plus an 8MP sensor at the front. It supports all three types of biometric security, too. The ZTE Axon costs $435 in the USA and will be released in Canada and China as well. Finally, the ZTE Axon Mini is the mysterious one of the trio. It was announced as the first phone to feature force touchscreen and will rely on a 5.2" Super AMOLED unit. No other specs have been confirmed at this point. Pricing and availability are a mystery too. ZTE also announced the Axon Watch with 1.4" circular display, sapphire glass coating and IP67 certification. The Axon Watch other key specs include 4GB storage, 512MB RAM, Bluetooth 4.1, and a 300 mAh battery. The Axon Watch will run on the Tencent OS, not Android Wear, and will be sold exclusively in China. "Finally, the ZTE Axon Mini is the mysterious one of the trio. It was announced as the first phone to feature force touchscreen" Yeah, shame on them for leaving that information out. the Axon Mini has a Force Touch display I Can`t believe GSMArena didn`t mention that!